When you or your client is dealing with the loss of a loved one, the last thing anyone wants is unnecessary time lost in trying to locate potential heirs. It’s not just about getting things settled so one can move on; it’s about doing it fairly and with compassion. We are equipped with the most up-to-date information that is not typically found using public records. 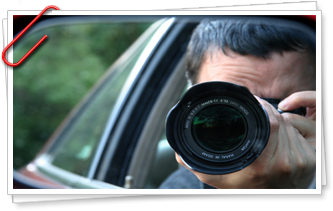 Our licensed private investigators specialize in finding people. In most situations, it is fairly simple to locate someone, although for those who are trying NOT to be found, an estimate will be developed based upon the information you are able to provide. Provide us with what you know about your ancestry. We first spend time consulting with you or your client to gather as much historic information relating to what is needed. Why pay more for something already known? We work within your deadlines. Just let us know WHEN you need to find them and we’ll let you know in advance if it’s possible. We won’t keep you in the dark. Depending on the situation, we will provide you with regular status updates by email or phone to keep you informed as to the next steps. While many estate research firms collect a portion of your inheritance, our fees are hourly and often result in significant savings depending on the size of the estate. We are assuming that you, like us, believe there are many in your ancestry who could benefit from this difference.